The first submarine telegraph cable, laid by the brothers Jacob and John Watkins Brett between England and France in August 1850, was of simple construction - a copper conductor with gutta percha insulation and no armoring. 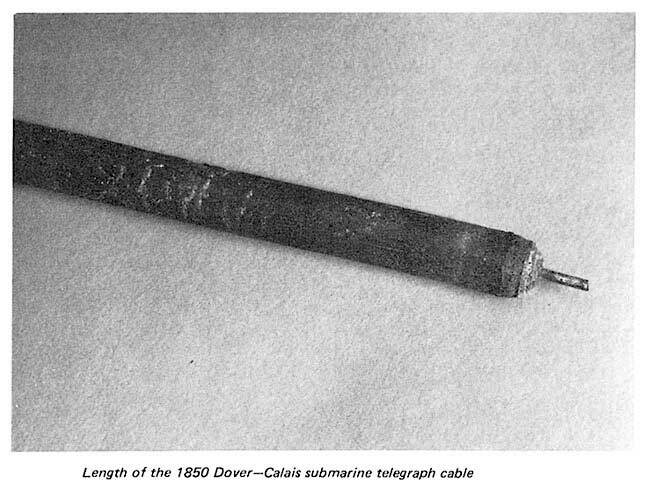 It worked for only a day, then broke from chafing on rocks; another version says that the cable was hooked by a fisherman and destroyed, It quickly became apparent that cables needed to be armored to withstand not only the stresses of being laid and the risks of being damaged by fishing vessels, but also the predations of aquatic life. Concurrent with the development of telegraphy, and similarly driven by the needs of the Industrial Revolution, wire rope manufacturing had begun in the 1830s in both Britain and Europe. The impetus for producing a replacement for the traditional hemp and other fiber ropes came from the mining industry. Most of Europe’s energy was supplied by burning coal, and unlike in the United States where coal lay near the surface, Europe’s coal came from deep mines. This required moving men and coal through vertical shafts often several thousand feet deep, and safe operation of heavy loads at these depths was not possible with hemp ropes. The first wire ropes were made with iron wire, using the same manufacturing methods as for hemp rope. By 1834 wire ropes developed by the German engineer Wilhelm Albert were being used in the mines in Germany’s Upper Harz district, and it was estimated that the additional manufacturing cost was more than covered by the much longer life of the wire rope over traditional hemp ropes. The new technology spread rapidly to Britain, and by the late 1830s there were a number of companies making wire rope. 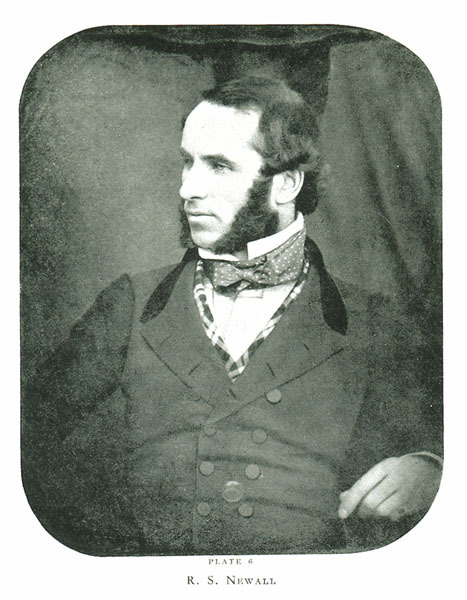 In 1837 Lewis Gordon, formerly an assistant to Brunel during the construction of the Thames Tunnel, made a career change to practical mining, and entered the Freiburg School of Mines in Germany, and then the Ecole Polytechnique in Paris. In 1838 he visited the mines at Clausthal in the Harz mountains, and met Wilhelm Albert. Impressed by what he saw, he wrote to his friend R.S. Newall in Britain on June 20th, 1838, urging him to “Invent a machine for making (wire ropes)”. Robert Stirling Newall was born in Dundee, Scotland, in 1812 and in 1838 he was proprietor of an engineering works in that city. His importance to the telegraph historian will be described more fully later. 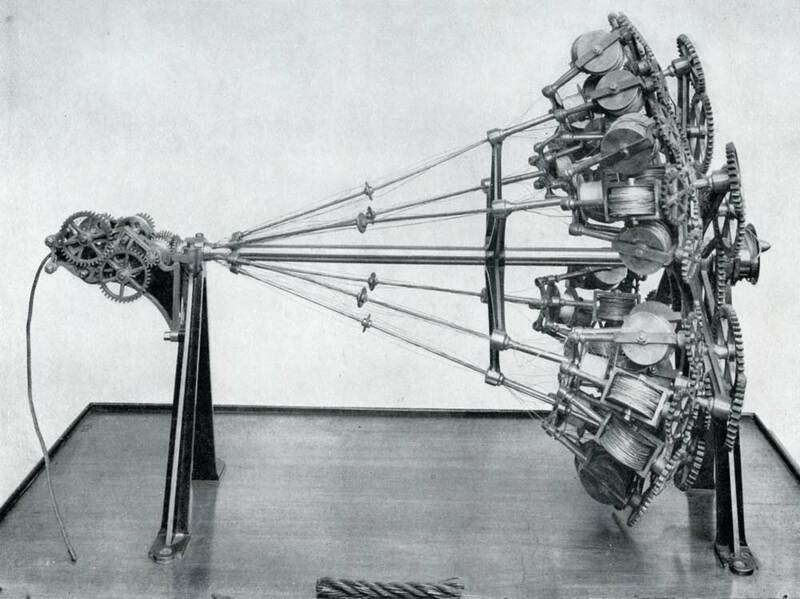 On receipt of Gordon’s letter, Newall set to designing a wire rope machine, and by the end of July he had sent Gordon a drawing of a machine which would produce a wire rope of four strands and four wires to a strand. 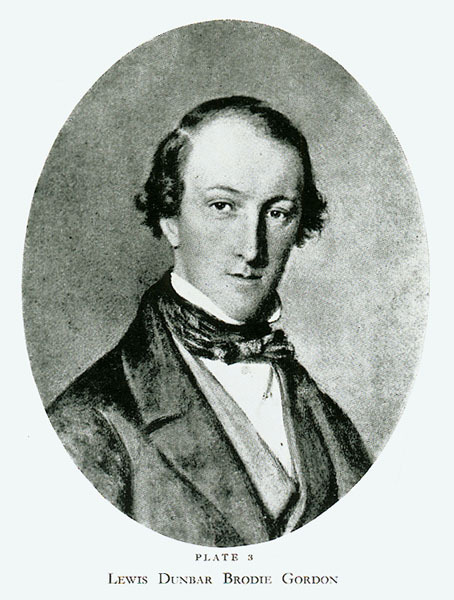 On Gordon’s return from Germany in 1839, he formed a partnership with Newall and Charles Liddell (a former pupil of railway engineer George Stephenson). By August 17th 1840 Newall took out a patent for “certain improvements in wire rope and the machinery for making such rope”, and immediately following this the three partners established themselves as R.S. Newall and Company in Dundee, and commenced making wire ropes for “Mining, Railway, Ships’ Rigging, and other purposes”. 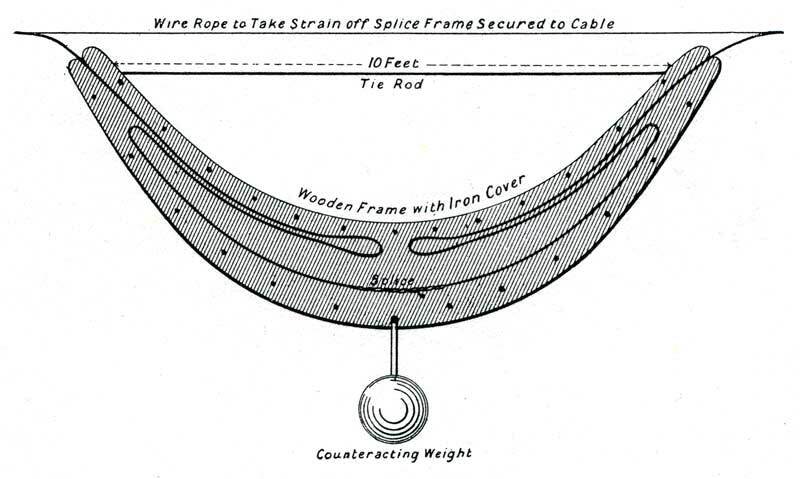 An important feature of Newall’s wire rope was a central core of hemp or other flexible material, which ensured that the individual wires and strands were held equidistant from their respective centers to ensure equal stress on each wire. “He proposes that the gutta percha lines containing an insulated wire should be surrounded with strong wire rope; that a rope of gutta percha cords, with their insulated wire wicks, should, in fact, constitute the core of a strong wire cable, to be laid at the bottom of the sea”. Historians dispute whether Newall in fact originated this idea of a cable within a wire rope; Newall himself made a not very definite remark claiming credit in a letter to the Times of 12th November 1852, but did not make the claim firmly until he published a pamphlet on the subject in 1882. Newall states that in September 1850 he submitted a specimen of his cable to the engineer of the Anglo-French Telegraph Company, on the understanding that Newall and Company were to get the contract for manufacturing it. The Anglo-French Company, however, in July 1851 let the contract to Edward Weatherley, who had made modifications to the wire rope machinery to evade Newall’s patent. Newall obtained an injunction, and forced the Anglo-French Company to come to him to manufacture the cable, as they were under time constraints by the terms of their cable-laying concession. Newall and Company completed the contract by hiring Weatherly’s factory and using Newall employees to produce the cable, which was successfully laid in September 1851. The galvanized iron wire used by Newall to armour the cable was made by Richard Johnson Brothers of Manchester, who also supplied half the armouring wire for the 1857 Atlantic cable. Their initial success in submarine cable manufacturing led R.S. Newall and Company to expand this part of their operation to deal with cable laying as well as manufacture. In 1852 the company made and laid the Holyhead-Howth and Port Patrick-Donaghadee cables; in 1853 the Dover-Ostend and Firth-of-Forth cables. In November 1854 during the Crimean war the company filled an urgent order to supply and lay a cable from Varna to Sebastopol, the “Black Sea Cable”. The cable core was supplied to Newall by the Gutta Percha Company, and Newall delivered and laid the cable in record time. Curious as to how Newall achieved this almost immediate delivery, competitors had to wait until the cable had been laid to discover that only the shore ends were protected inside a cable sheath; the remainder of the wire being joined in a continuous length and laid in the sea with just the gutta percha insulation to protect it. Despite this, the cable gave good service for nearly a year. We turn now to another key figure in cable manufacturing, George Elliot. Born in 1815 in Gateshead, the son of a coal miner, Elliot became a mining engineer and in 1840 a colliery owner. In this capacity he dealt with the wire rope manufacturer Kuper and Company of Camberwell, London, becoming their sole agent and manager after their bankruptcy in 1849. He moved the works to Morden Wharf, East Greenwich (on the River Thames near London), and by 1854 Elliot had become proprietor of the company (in partnership with Richard Glass), paying off the creditors and the original members of the firm. The firm was soon renamed Glass, Elliot and Company, and production was turned over from wire rope to submarine cables. In 1856 the Atlantic Telegraph Company placed an order for 2500 nautical miles of cable, one half to be made by Glass, Elliot, the other half by R.S. Newall and Company. This resulted in a famous engineering blunder; Newall’s half of the cable was made with right-hand lay, and the section made by Glass, Elliot had a left-hand lay. This naturally presented a difficulty when the two halves were to be spliced together. One can envision the armoring slowly unraveling all the way from the splice to the ends of both cable sections. The situation was saved by the engineers aboard ship, who devised a complex fixture to ensure that the splice would remain tight. “A rather serious oversight in the manufacture of the two halves has been cleverly remedied. “It was not discovered till some time after the work had begun that the two separate halves had been twisted in opposite directions. When joined in the centre the natural tendency of this counter formation would have been to untwist the cable altogether. A very ingenious species of clamp, somewhat akin to the coupling screws and weights used to connect railway carriages, has been devised to counteract the natural effects of this blunder”. 1. The conclusion drawn by your correspondent that we are in fault is certainly not warranted. Admitting all the premises, how were we to know anything about Messrs. Glass and Elliot’s work ? We have no entry to their premises, and could know nothing of the lay of the cable they had manufactured. 2. We took our contract from the Atlantic Telegraph Company in December last, and we were supplied by their engineer with a specimen of the cable to be made. We constructed new machinery specially adapted for the manufacture of this cable of the same lay as the specimen supplied to us. We began to manufacture the last week of February, and when we began about 200 miles had been made at Greenwich. The engineer of the company then found that the lay of the cable at the two works was in reverse directions, and asked us to alter it in ours. We could not do this without altering the machinery which, as before said, had been specially prepared for the work, and this would have involved a delay of three weeks, so that the engineer decided against any alteration. As it has turned out it would certainly have been better to have altered it, for, although we had not begun our half of the cable till the Greenwich firm had completed about 200 miles, yet we had completed our part when they had upwards, of 150 miles still to do, so that there would have been ample time to make the necessary alterations in the machinery without delay in the completion of the cable. However, that was no affair of ours; we were bound to complete, the cable by a certain day under a penalty of 50l. a-day, and we did it; and if the engineer expected the same punctuality from the other contractors we think he was right in not risking delay by alteration of our machinery. 3. The specimen of the cable given to us for our guidance in the manufacture was not made by us, but we believe it was made by Messrs. Glass and Elliot. At any rate, it is for the engineer to explain how it came to pass that different directions were given to the two contractors; and perhaps the gentleman who gave you the information that we are in fault can throw some light on the subject as to how the specimen given to us happened to be of a contrary lay to the cable manufactured at Greenwich. The inconvenience arising from the “blunder” is, we think, overrated by you, and really of small importance. The attempt to lay the 1857 cable was not successful, and the 1858 cable functioned at slow speed for a short time and soon failed completely. Because of the American Civil War, and the difficulty of obtaining financing for another cable, it was not until 1865 that another attempt was made. By this time Newall and Company were no longer involved in the Atlantic Cable project, and a merger was made between Glass, Elliot and the Gutta Percha Company, the new company being known as the Telegraph Construction and Maintenance Company, or Telcon. The original Glass, Elliot company continued to make wire rope under the name of George Elliot and Company for many years. An engineer who made the transition in the other direction, from telegraph cables to wire rope, was John Temple (1839-1922), who worked in the telegraph service in Leeds, Manchester and London, then joined the Atlantic Telegraph Co. on its formation in 1856 and sailed on the Agamemnon during the laying of the 1857 cable. In 1859 he joined Glass, Elliot and Company and acted as engineer for the Malta, Alexandria, and other Mediterranean cables. He returned to England in 1865 after the laying of the cable that year, and was third engineer-in-charge on the Great Eastern. He also took part in the recovery of the first piece of the lost 1865 cable with the grappling ship Albany. He then retired from Telcon, but continued to act as a consultant. Meanwhile, the firm of Rylands Brothers, wire drawers who supplied wire for the first Atlantic cable, had taken over the struggling Queen’s Ferry Wire Rope Company Limited, located on the River Dee. 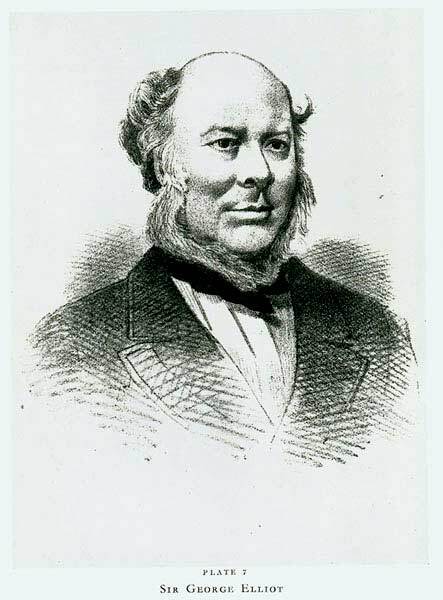 At the suggestion of John Rylands, Temple became managing director of the company, moving it to Warrington and changing the name to the Warrington Wire Rope Works Limited. He does not seem to have had any further involvement in submarine cables after this time. 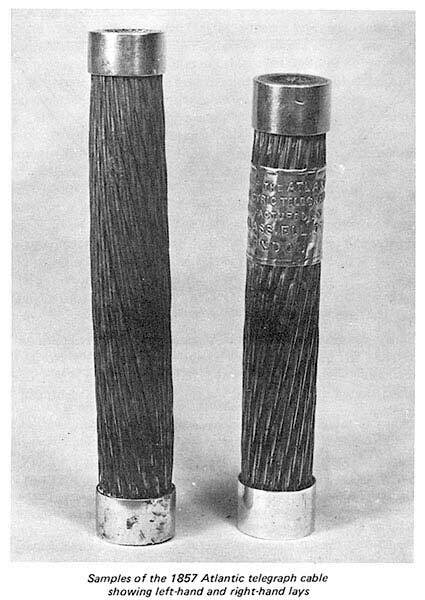 Both the 1857 and 1858 cables had been sheathed with cable made from iron wire. 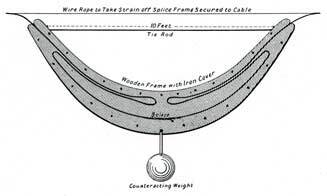 For the 1865 and 1866 cables, James Horsfall of the wire rope firm Webster and Horsfall (Hay Mills, Birmingham) supplied his “Patent Steel” wire, made by heat treating the steel wire during production. Steel wire became the standard material used for armoring cable thereafter. BLACK, Robert M., The History of Electric Wires and Cables, Peter Peregrinus Ltd., London,1983. FORESTIER-WALKER, E.R., A History of the Wire Rope Industry of Great Britain, Federation of Wire Rope Manufacturers of Great Britain, 1952. 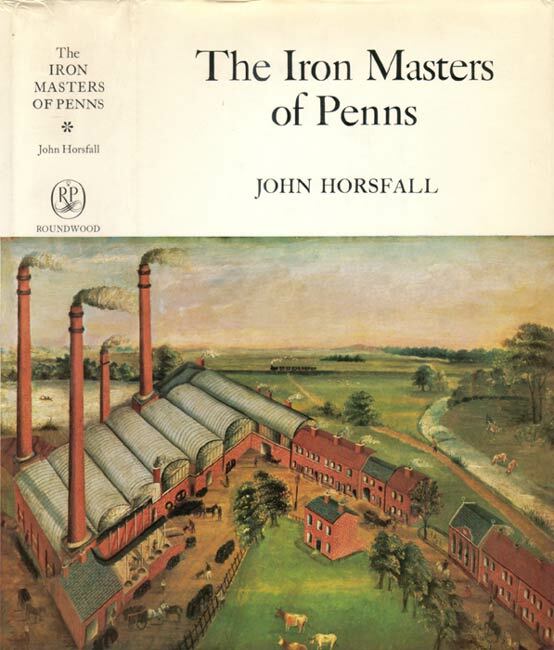 HORSFALL, John, The Iron Masters of Penns, Kineton, 1971, The Roundwood Press. LAWFORD, G.R. and NICHOLSON, L.R., The Telcon Story, The Telegraph Construction & Maintenance Co. Ltd., London, 1950. 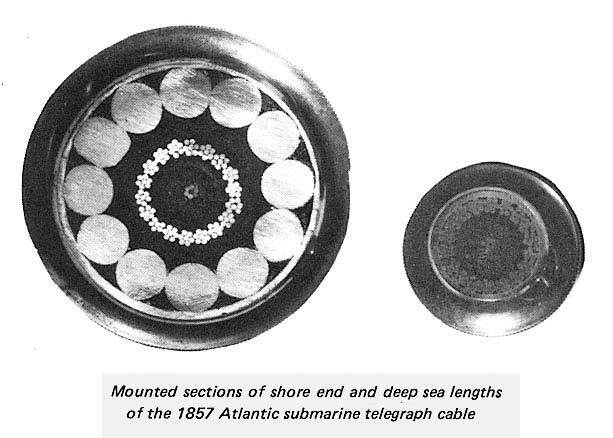 NEWALL, R.S., Facts and Observations Relating to the Invention of the Submarine Cable, E. & F.N. Spon, London, 1882. SETH-SMITH, Michael, Two Hundred Years of Richard Johnson & Nephew, Manchester, 1973, Richard Johnson & Nephew Limited.